Albuquerque is mostly known for its International Balloon Fiesta, which takes place the first two weeks in October. If you happen to be here at other times of the year, there's still a wide variety of things to do. Take a ride on the world's longest Tramway to the top of Sandia Peak. Get to know the famous Unser family by touring their racing museum here, chock-full of Indy 500 trophies and some of the cars that helped them get across the finish line. 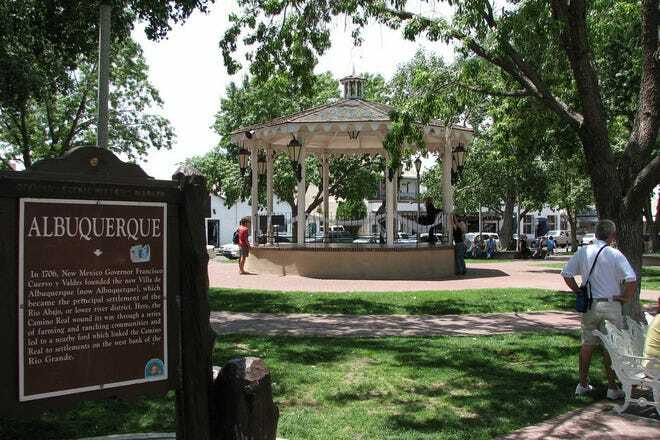 The Albuquerque BioPark and nearby Old Town, where the city started, are also worth a stop. Hot Tips: Best to take a shuttle to the Balloon Fiesta, as individual cars can sometimes wait 2 hours in traffic. Hot Tips: Riding the Tramway during Balloon Fiesta - lines are way too long. In recent years, Albuquerque has added many new hotels convenient to the airport area, upgraded and remodeled several others and introduced new ones to the scene. The much talked about Hotel Parq Central, built in 1926 and opened in 2010, has a fun rooftop bar with great views. Also historic, the Hotel Andaluz has reopened as Albuquerque's first green hotel. Offering spectacular views of the mountains and the city, along with fun in the casino or its adjacent golf course, the Sandia Resort and Casino has it all. The Park Inn by Radisson offers an exciting indoor water park. Hot Tips: If coming to Albuquerque for balloon fiesta, you must make your reservation many months in advance, as rooms sell out. Hot Tips: Lower-priced hotels on Central. Albuquerque is known for a food culture it can call its own. The Mexican food here is called New Mexican, a blend between the native pueblo influences and its neighbor to the south, Mexico. Don't think Tex-Mex - this is completely different, with the influence of green chiles, black beans and corn. While here, you must sample some of this state's proud culinary tradition. 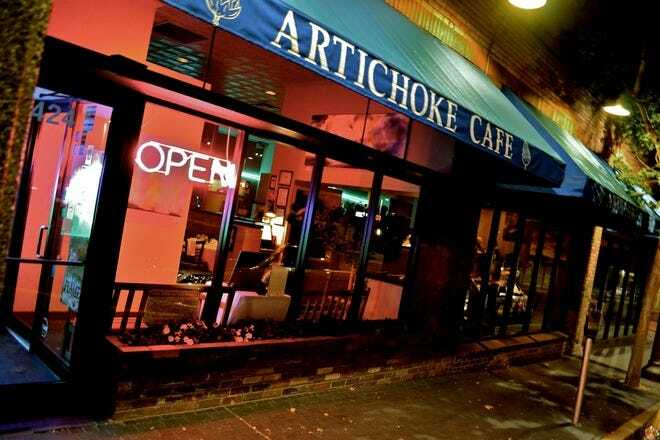 The city has other fine dining options along with great sandwich shops and other casual joints. New on the scene, the Nexus Brewery offers great soul food and beer. El Pinto's patio dining can't be beat. Hot Tips: The high prices and lackluster service at the High Finance restaurant at the top of the Tramway. Hot Tips: A steak at High Noon in Old Town, the muffaletta at Relish, the queso at El Pinto and the lobster bisque at Marcello's Chophouse. Because of the Hispanic influence here, it's no wonder that a popular form of nightlife is salsa music and dancing. 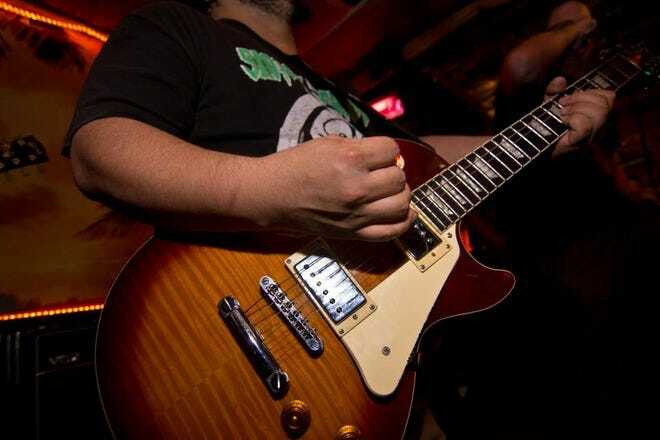 There are also a variety of other live music venues host to jazz, blues, local and touring bands. Area casinos bring in headline acts and provide great dance clubs, as do several other locales in the city. Effex, Casa Essencia, the Q Bar and Imbibe bring you techno and dance music. Salsa can be found at the Cooperage and the Hotel Andaluz. Do some two-stepping at the Dirty Bourbon and Caravan East. Hot Tips: The bars on Central in the wee hours or major holidays as the crowds can be overwhelming. Hot Tips: The outdoor summer concerts at the Albuquerque Museum are great, but you must have a ticket beforehand, as they sell out and you can't get one at the door. 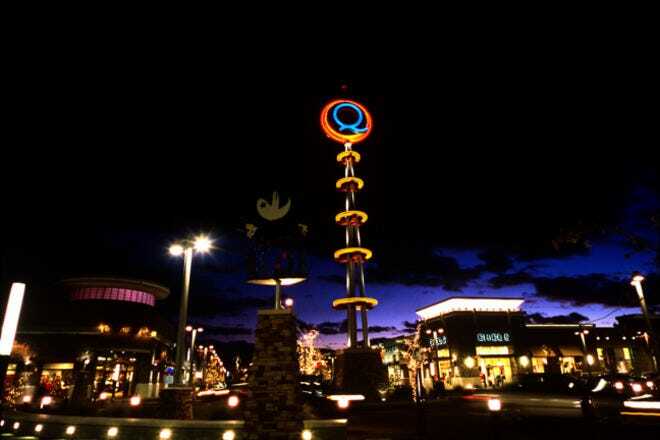 Albuquerque has several nice shopping malls, two indoors (the Cottonwood Mall on the west side and Coronado Mall in the Heights), as well as the beautiful new pedestrian mall, ABQ Uptown, with its trendy and higher-end stores, such as BCBGMaxAzria, Lululemon Athletica and MAC cosmetics. Many appreciate the Apple store as well as the large North Face store. Just across the street is Target, with its ground-level covered parking and the store elevated above. For local culture and art finds, shop the Nob Hill area and Old Town. 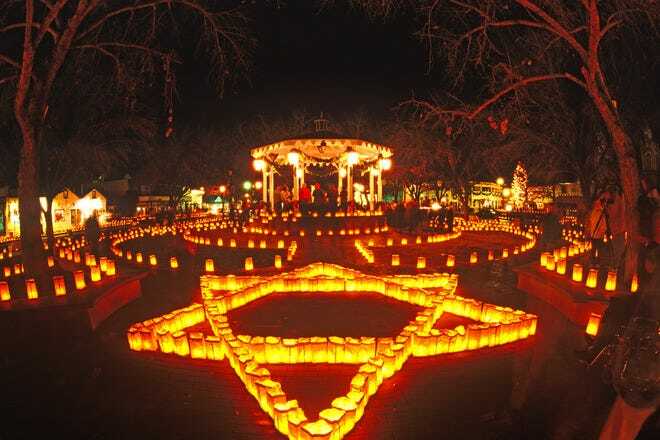 Hot Tips: For wonderful ambience, catch the Holiday Stroll in Old Town in early December. Hot Tips: The green chile peanut brittle at the Chile Traditions store. 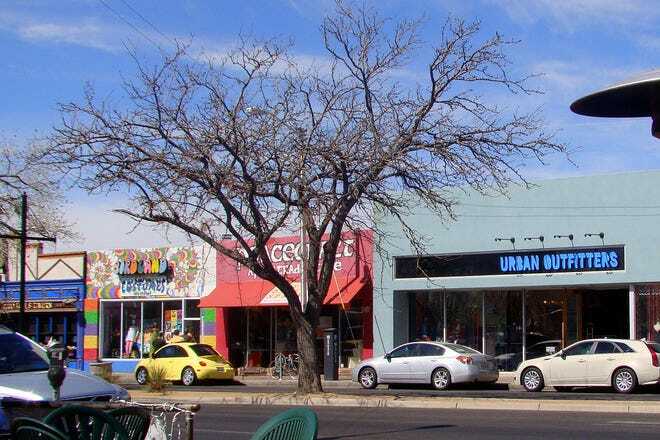 Five of Albuquerque's most unique features and characteristics. The city is nestled at the base of the Sandia Mountains, a defining visual which always tells you where "east" is. the entire city is built on a slope that stretches toward the desert floor (with volcanos visible on the horizon!). Watching the changing weather at the top of Sandia (which means watermelon in Spanish) is a citywide pasttime. City residents are devoted to their chile peppers. State legislators even voted for "Red or Green?" as the Official State Question, a query proffered by restaurant servers to determine your preference of chile sauce. (Either can be hotter on any given day; ask which is which) Everything from cheeseburgers to enchiladas is served with chile sauce, but locals just call it chile. Fall draws balloon enthusiasts from around the world to Balloon Fiesta, but balloonists practice their sport year-round. It's not surprising to see half a dozen balloons aloft on any given morning. Look west. The unusual air currents in Albuquerque create a "box" in which balloonists can fly and return to near their starting point. The city also has a world-class balloon museum, adjacent to the beautiful Balloon Fiesta fairgrounds. Open year-round, it's full of surprises and fun for all ages. While you're shopping around town, you'll see lots of balloon-themed goods, and with reason. Albuquerque is known around the world as a destination for balloonists and enthusiasts. "America's Highway" plays a big role in Albuquerque's beautifully renovated downtown. Great photo opps await here, and some very funky old motels line the far less glamorous stretch east of UNM. Take a drive and see what you discover. Large indian reservations surround the city, and over the years each of them has built bigger and better casinos. Sandia Casino & Resort has the full range of live and digital gaming, but also top-notch touring shows, a fabulous rooftop bar, and a beautiful golf course. Isleta Casino, on the city's south side, has partnered with the Hard Rock and provides visitors a more glamorous hotel experience but a similar casino. Many of the casinos are now destinations, drawing patrons for large buffets, poker tournaments and special musical events. But gambling always takes center stage.